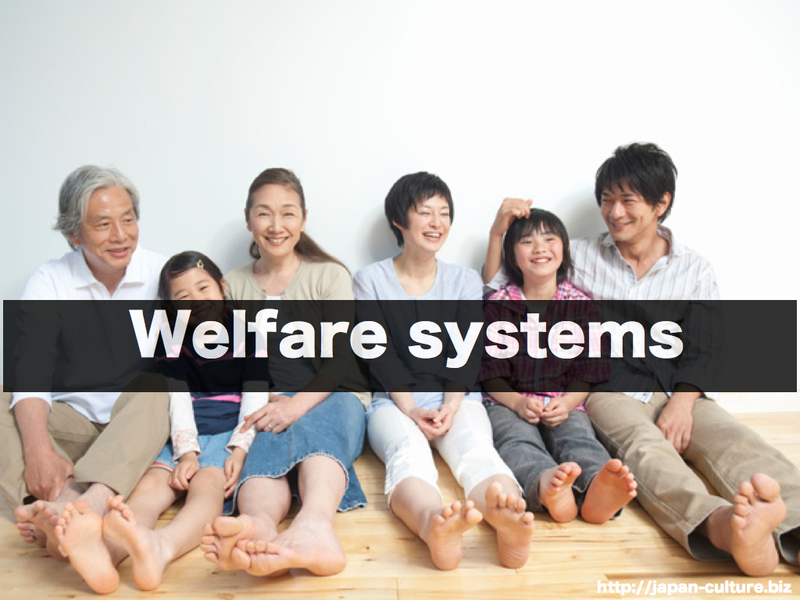 There are various welfare systems in Japan. All Japanese people must have a health insurance plan and a pension plan. Working people in Japan pay a monthly fee to a health insurance plan. Many plans cover 70% to 90% of medical costs. Pension plans also require a monthly fee. But with the aging society, many people are worried about the future of these plans. The biggest problem for the Japanese welfare system today is the aging society. To deal with this, for example, a nursing care insurance plan for old people was made by the government in the year 2000.